Join us on a winter break in a region that enjoys 260 days of sunshine per year. February also has the highest level of snowfall, so skiing is guaranteed. There are thermal spas near Borovets, so we are going for a full winter experience in open air swimming pools. 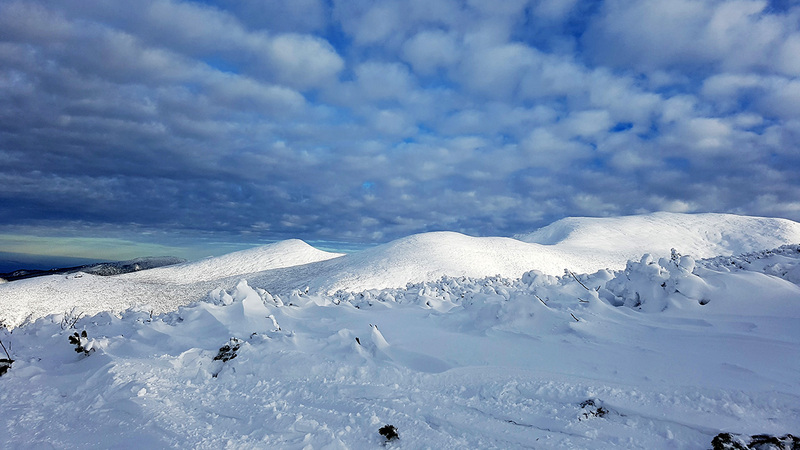 Would you like to experience real winter and improve your skiing skills? Treat yourself to a long weekend in February, generally known as one of the best months for skiing in the Balkans. Join us for a trip to Borovets in Bulgaria, where you can enjoy an outdoor thermal spa while watching the snow fall. You only need to take two days off work and you can have three full days of skiing. If you are a beginner who just wants to try out skiing to see if you like it and you don’t want to spend a fortune, read on. 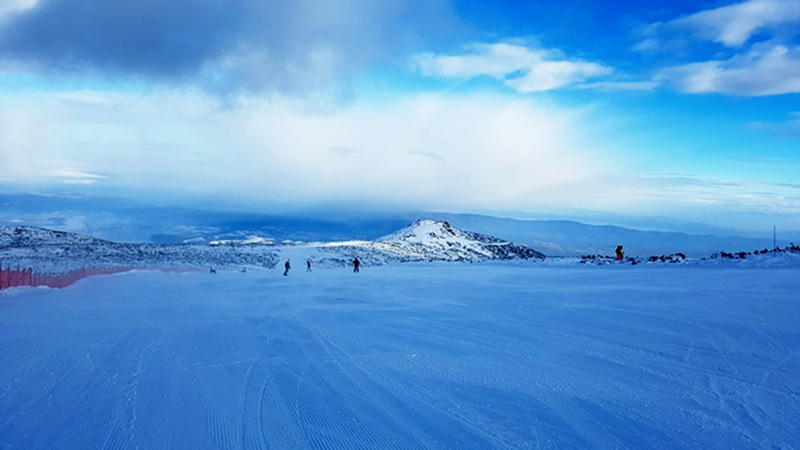 If you are a pro or an intermediate skier who would like a few days of snow and sun at the end of February, this is also a trip for you, because Borovets has it all, having recently hosted European skiing tournaments. We discovered this absolute jewel of a skiing resort, a very much under-exploited venue, while researching the slopes of Bulgaria’s mountains and national parks, here in the most western part of Bulgaria within Rila National Park. Having visited all the main ski centres in Bulgaria and many more in the Balkans, we can tell you that Borovets is the place we love going to again and again. This winter we will spend four days in a 4 star hotel with an indoor pool, a jacuzzi and saunas for those long winter afternoons, just before hitting the Bulgarian “mehana” or bar. During the day we’ll be renting equipment to go out skiing, either on our own or with an instructor – more info about the terrains here. A ski pass with rental of skis, boots and poles starts at €40 per day. Amazingly, this price includes a group ski instructor. 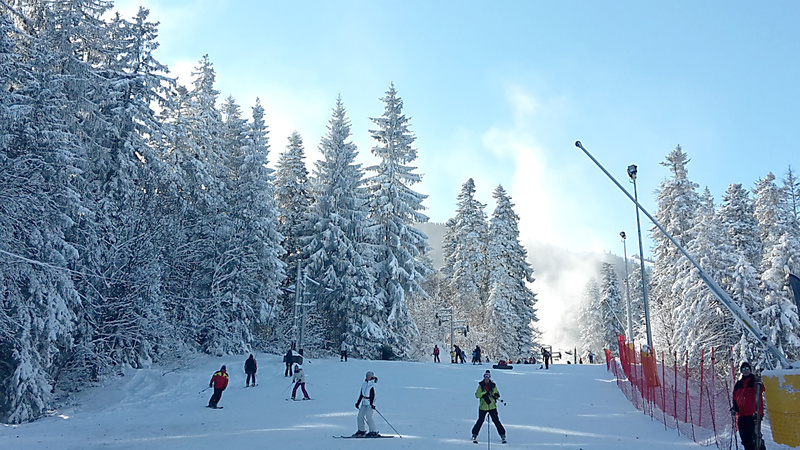 The trails within Borovets are equipped with snow cannons, and a few of them also offer night skiing. February is the month when Borovets has its highest average snowfall. We will have a van and a driver for optional day trips: within a 40 km radius of Borovets there are cute little village hotels built on hot mineral springs – perfect for pampering both body and soul. One of them, Sapareva Banya, boasts the only geyser in the Balkans, and the temperature of the water is a bubbling 103° C.
One of the highlights of this trip is an optional half-day visit to Rila Monastery. Founded in the 10th century, the monastery is regarded as one of Bulgaria’s most important cultural, historical and architectural monuments, and is a key attraction for both Bulgaria and the wider Balkans. If you can imagine stepping out of the London underground on a Saturday morning and skiing in the afternoon, this holiday is for you! It’s also ideal for those who want to pamper themselves in the middle of winter. You could be one of these lucky people, getting a boost of amazing February sunshine and enjoying the slopes. 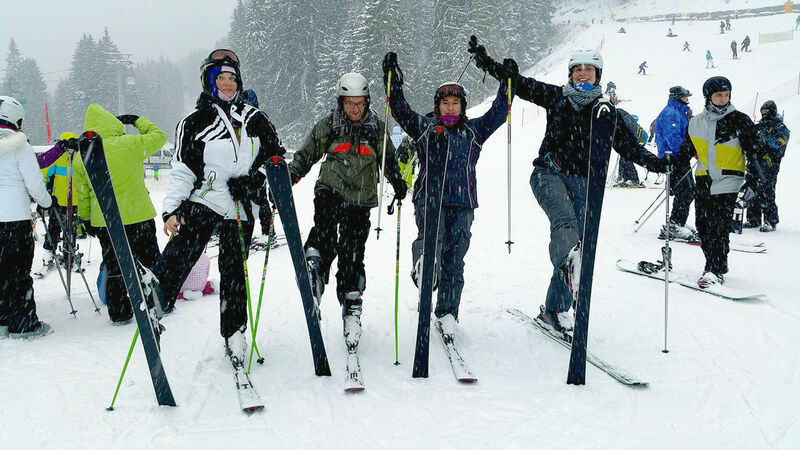 Our groups are very friendly, and we have skiers of all levels. We normally get together in the evenings, too, and we have a lot of fun. 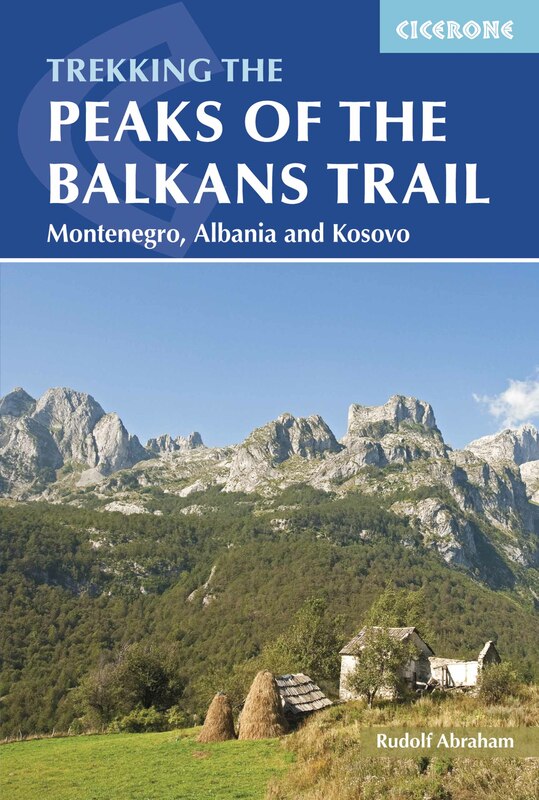 Activities include watching a movie about Bulgaria and tasting some of the local wines. We fly to and from Sofia, so we will stay in Sofia on the last night before catching an early flight at 6 am. 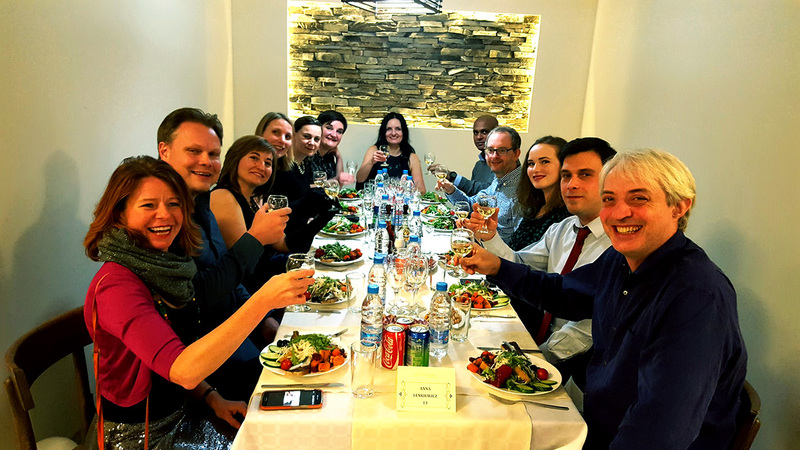 Day 1: After reaching Sofia at midday, we’ll go straight for lunch at a typical Bulgarian restaurant to try out some local dishes and get familiar with Bulgarian national cuisine. This is a good opportunity to define the expectations and options for the trip and to form groups of beginner-level, intermediate and advanced skiers so that we can let the skiing centre know what kind of instructors we need upon arrival. We have a two-hour drive to Borovets aiming to arrive before 6pm so that we can rent our equipment for the next day as well as hiring instructors in order to start skiing on the morning of day two. For the keen skiers among you, there is night skiing in Borovets, so you can hit the slopes as soon as we rent out the equipment and buy the ski passes. In the evening we will have dinner in the hotel. Day 2: We will have a full day of skiing, trying out the different slopes according to our abilities. We normally agree on a spot where we gather for lunch as a group, but more advanced skiers can use the whole day for skiing and meet the rest of the group for dinner at the hotel. After dinner we will watch a movie about Bulgaria and have a discussion about the country, which is one of the newest members of the EU. Day 3: After breakfast we will go skiing again, either with our instructors or on our own. We will meet for lunch and then those of us who want to see Rila monastery will go on the optional visit there. The monastery is less than an hour’s drive from Borovets. The rest of us will continue skiing, and we will meet the others for dinner at the hotel. After dinner we will go and check out the nightlife in Borovets, as this is our last evening there. Day 4: After packing our suitcases and leaving them at the lobby we will enjoy the slopes in the morning and have lunch in Borovets after returning our equipment. We will then collect our luggage as we are leaving Borovets and heading towards Sapareva Banya for an afternoon of well-deserved relaxation. There are many different pools in the spa, with different temperature levels, the hottest one reaching an impressive 43° C. We will enjoy the open-air thermal spa at leisure before going for dinner in the nearby restaurant. After dinner we head to Sofia to stay at a hotel near the airport. Day 5: We will leave the hotel early, having collected a packed breakfast to enjoy on the plane, catching the 6am flight. We arrive into London at 7:30 am, early enough to catch a bus or train and arrive at work refreshed and full of wonderful memories. The cost of this trip is £510, based on two people sharing a hotel room. A single room supplement is available on request, at £100. • 4 nights HB (including breakfast and dinner) – Accommodation: 3 nights in a 4 star hotel in Borovets and 1 night in a 3 star hotel in Sofia. • All transfers – minivan and driver from and back to the airport for the recommended flights. • All breakfasts and dinners are included. Insurance (you can only join this trip if you produce insurance details prior to the trip). Make sure your insurance covers the type of activities you’d like to do during this holiday. All lunches are not included in the price. Ski passes and ski instruction is not included in the price. The trip to Rila is not included in the price. The prices of excursions vary between £30 and £40, based on the number of participants. Personal expenses for drinks or souvenirs. You can book this trip by clicking the BUY VIA PAYPAL button on our website or by sending us an email. Please book the recommended flights after you receive our confirmation of availability. We provide transport from and back to the airport for the recommended flights only.